Tour Operator in Arusha, Northern Tanzania - Book your Tanzania wildlife safaris with Kilimanjaro Tanzanite Safaris Ltd (KTS), a licensed Tour Operator in the safari town of Arusha. Get accommodation options for budget camping safaris, camping safaris, budget and luxury lodge safaris. Arusha is the gateway to all northern circuit Tanzania game parks and tourist destinations like Lake Manyara, Serengeti and Tarangire National Parks; Lake Eyasi, Lake Natron, cultural tourism and other sight seeing tours. Contact us for more information, booking and discount prices. 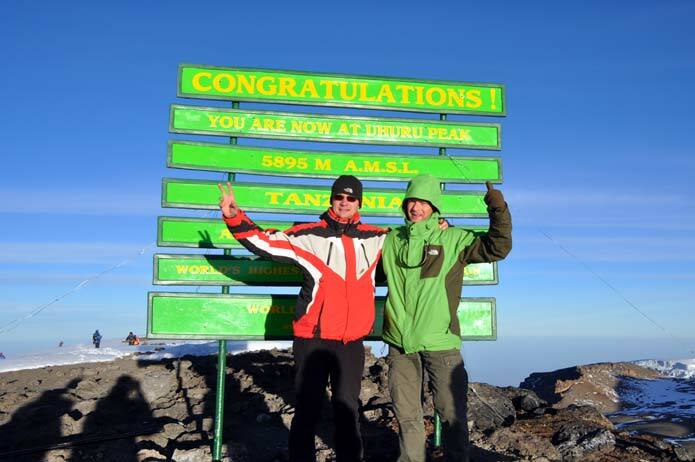 Ask about our Kilimanjaro tours. Mount Kilimanjaro is a dormant volcano found in Northern Tanzania roughly 325km (201 miles) south of the equator within the Kilimanjaro National Park. 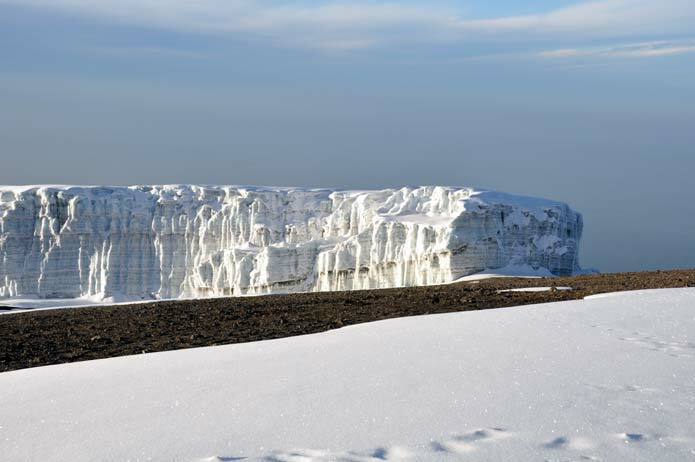 It is the highest mountain in Africa rising to 5895m above sea level. The natural slopes and fertile soil of Mount Kilimanjaro creates perfect conditions for the growth of a natural green forest, which attracted the Chagga people who grow coffee and bananas in the area. The ever present snow cap of it highest peak, Kibo. Steam and sulphur at the Kibo Crater. Small quantities of steam and sulphur are still emitted at the crater. On the southern trail slopes of Kilimanjaro like Machame, Umbwe and Marangu, there are natural waterfalls. 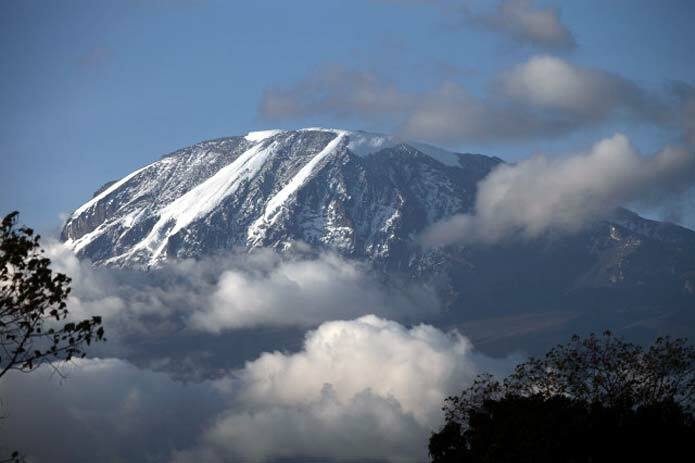 Kilimanjaro was selected as one of 14 finalists for the 7 new natural wonders of the world. Shira and Lemosho trails are rich in big game wild animals as well as forest animals. Wildlife viewing tours are conducted on the lower slopes of Kilimanjaro on the western side of the mountain. The mountain has an variety of terrain including rain forest, moorland, alpine desert, snow fields and glaciers. Pausing for a rest and photo opportunity! 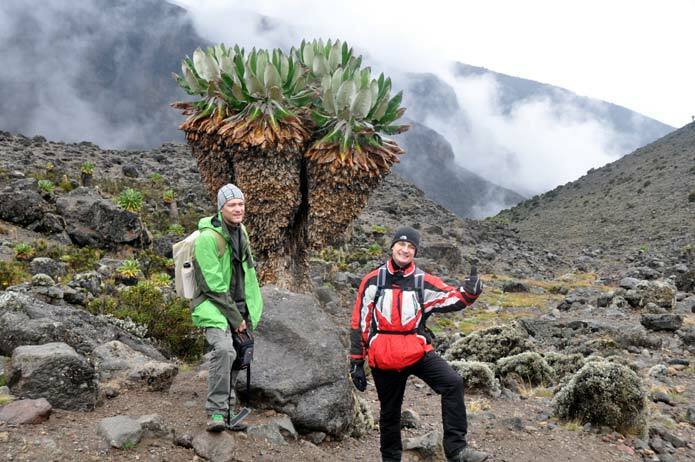 The trails on Mt Kilimanjaro are nationally recognized and assessed for safety. They differ in difficulty levels and a climber’s should be measured against his level of fitness and interest. The routes include Marangu, Rongai, Machame, Lemosho, Shira and Umbwe. 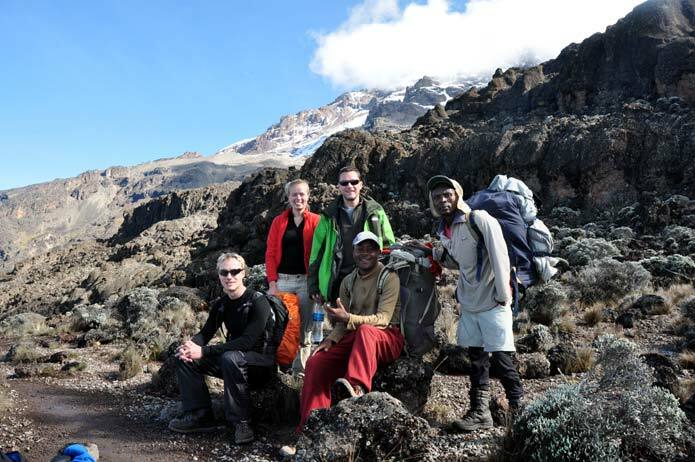 The Machame route offers 2 options to the summit, the easier Barafu way and the more difficult climbing trail of arrow glacier. Mount Kilimanjaro, Tanzania - at the summit! 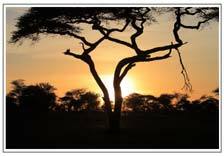 Kilimanjaro Tanzanite Safaris Ltd (KTS) is a licensed Tour Operator in the safari town of Arusha, Northern Tanzania. If you rent a car for a self-drive wildlife safari, we also rent camping equipment.